The lira surges after Turkey places huge tariffs on American cars, alcohol, and tobacco. The Turkish lira climbed by as much as 7.37% Wednesday after the country’s government announced tariffs of up to 140% on American automobiles, alcohol, and tobacco. The currency was most recently up 2.37% at 6.1990 per dollar. UK inflation edges up. Consumer prices in the UK rose 2.5% year-over-year in July (+2.4% previous) as transportation and video games drove up costs, according to data released Wednesday by the Office for National Statistics. Members of Tesla’s board of directors are lawyering up as the crisis around Elon Musk deepens. Some members of Tesla’s board are scrambling to protect themselves amid the fallout from Tesla CEO Elon Musk’s declarations about taking the company private, The New York Times says. Eddie Lampert makes a $US500 million offer for Sears assets. The billionaire hedge fund manager’s ESL Investments said in a regulatory filing out Tuesday that it offered $US400 million for Sears’ Kenmore brand and up to $US80 million for its SHIP home-improvement business, the Financial Times reports. The owner of MoviePass has massively diluted its stock after announcing its 1-for-250 reverse split. The MoviePass owner Helios and Matheson Analytics increased its share count by 9,423% – to 636.9 million from 6.7 million – between July 31 and August 13, according to a quarterly report filed Tuesday. 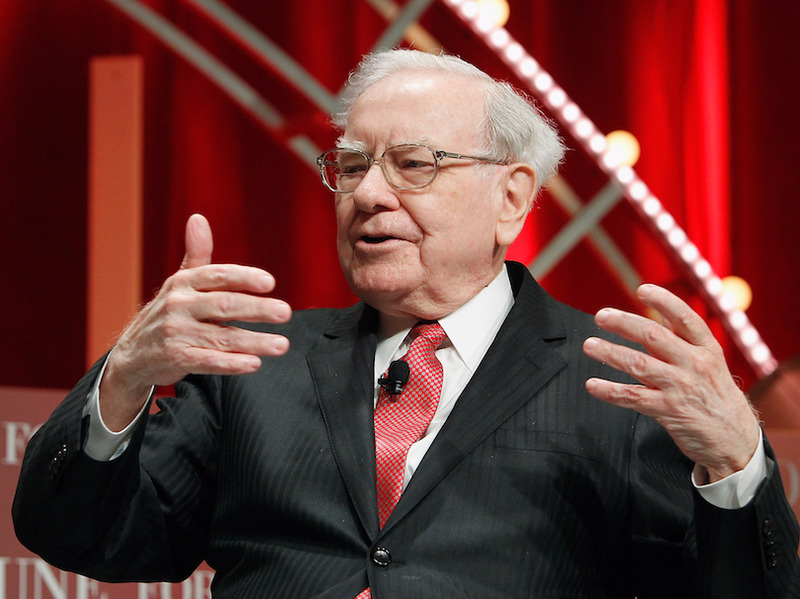 Warren Buffett’s Berkshire Hathaway now has a $US3 billion stake in Goldman Sachs. The Warren Buffett-led conglomerate raised its stake in the Wall Street bank by 21% to 13.2 million shares during the second quarter, according to a 13F filing out Tuesday. At Tuesday’s closing share price, that stake is worth more than $US3 billion. Over half the people who took the CFA exam failed. The results of the 2018 Chartered Financial Analyst exam were released Tuesday, with just 43% of candidates passing Level I and 45% passing Level II. The Level III results are due August 28. Stock markets around the world are lower. China’s Shanghai Composite (-2.08%) led the losses in Asia, and Britain’s FTSE (-0.4%) trails in Europe. The S&P 500 is set to open down 0.23% near 2,834. Earnings reporting remains slow. Macy’s reports ahead of the opening bell, and Cisco Systems releases its quarterly results after markets close. US economic data is heavy. Empire Manufacturing and retail sales will both be released at 8:30 a.m. ET before industrial production and capacity utilization cross the wires at 9:15 a.m. ET. Finally, the NAHB Housing Market Index is due out at 10 a.m. ET. The US 10-year yield is down 2 basis points at 2.88%.